A majestic and refined bottle. Its singular shape is inspired by the work of the master glass-blowers of the 17th century. 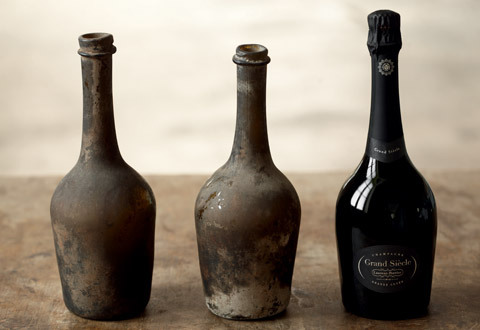 The curve of its shoulders is unique, as is the elegance of its slender swan’s neck, and is a re-creation of the hand-blown bottles used to contain the very first champagnes at the French royal court. As soon as one begins to pour the wine, the long neck murmurs a ‘song’ like no other. Grand Siècle, a name that celebrates the 17th century, the era of Louis XIV, the Sun King, was a time, which saw the flowering of the arts and the French art de vivre, and the birth of a new appreciation of fine food. Today presented in an extremely elegant gift box, Grand Siècle by Laurent-Perrier is a prestigious gift, much appreciated by connoisseurs; it is an ambassador for our uniquely French art of hospitality.